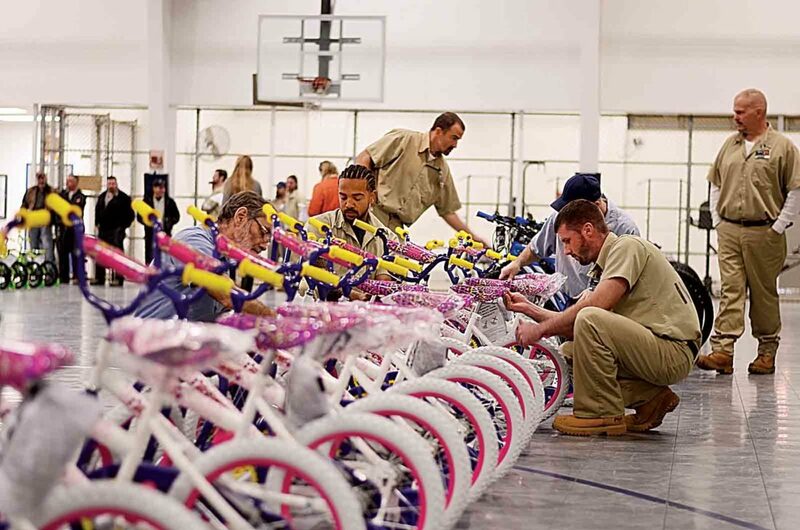 Photo by Hannah Kittle Inmates work on bikes during a bike build at the Noble Correctional Institution on Wednesday. CALDWELL — This Christmas, foster children throughout Southeastern Ohio will be rushing to the bottom of their Christmas trees to find a shiny, brand new bicycle as the Noble Correctional Institution is partnering with Bike Lady to build and send out bikes across seven counties. He said 10 staff and 20 inmates put the 155 bikes together Wednesday for the children in foster care in Southeastern Ohio. He said 41 of those bikes were going to Washington County to assist the children there.